Overall I am happy with the proportions in this sketch, except for the hands. They look too small. I feel the angle of the models limbs give a sense of weight with the arms relaxing on the armrests of the chair and the legs crossed at he ankles. 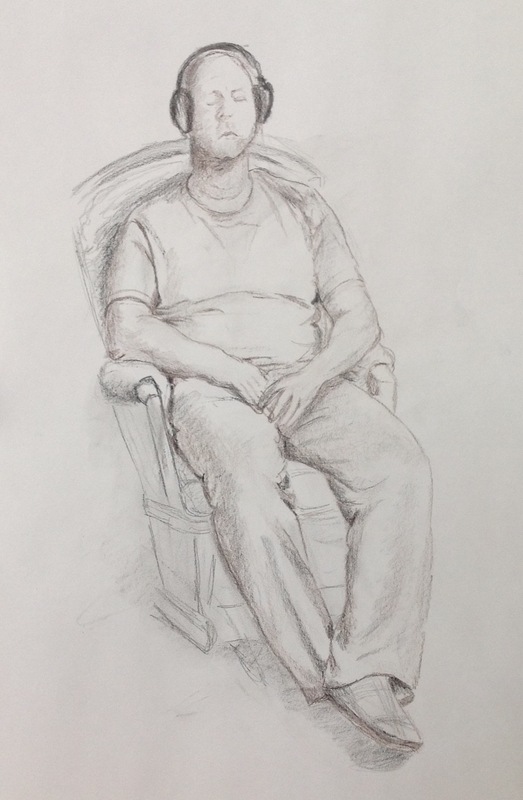 I think there is foreshortening with the upper leg appearing shorter due to the angle he is seated at.